All our available scores for the composition Slip To The Void are displayed on this page. The author of Slip To The Void is Alter Bridge. Below you can find all our currently available arrangements for Slip To The Void. You can preview any arrangement before purchasing. In order to do this, please navigate to the appropriate score that you would like to see and click on the preview button in that line. We often offer a piece of music for a variety of different instruments. You may in that case choose to view the arrangements for only one specific instrument by clicking on the drop-down box next to "select instrument" and choosing the instrument you would like to view arrangements for. 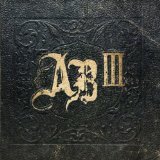 We appreciate your opinions, so if you have a moment to share your thoughts on this Alter Bridge song or arrangement, or any other song for that matter, then please leave a little review in the box marked Comments. Make sure you are logged in. Please click on the share button on the right to post to Twitter and Facebook. You can also "like" our site using the Facebook Like button at the top of the page. We offer the sheet music for Slip To The Void for 1 instrument. In total our sheet music selection for this song has 1 arrangement to choose from.